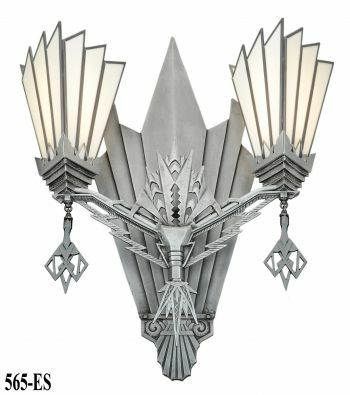 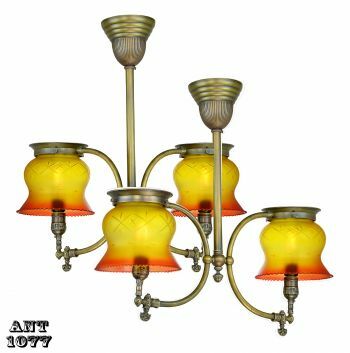 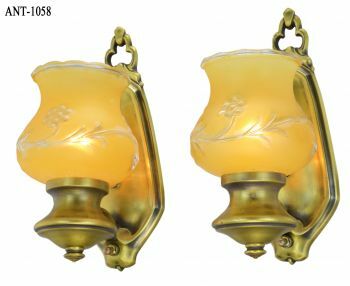 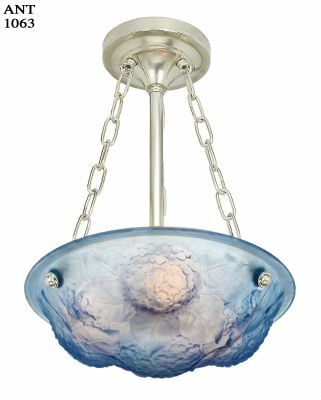 181 Series Large Art Deco LED Wall Sconce. 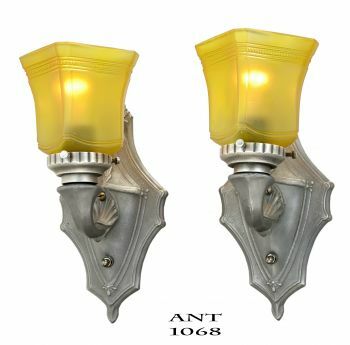 Choice of frosted or amber shade. 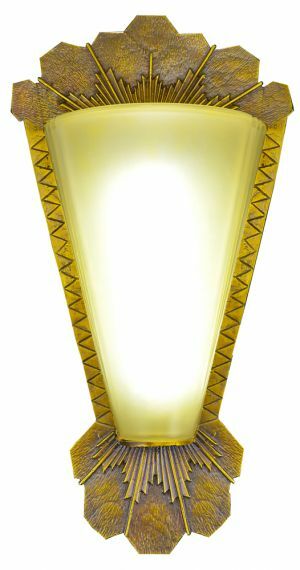 Solid brass, large, and heavy Art Deco wall sconce we believe was originally made by Williamson & Co., who was bought by Beardslee during the Depression era. 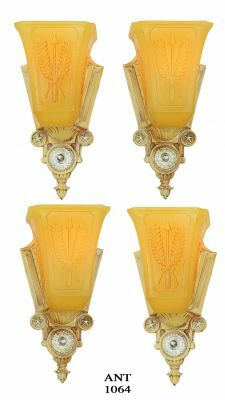 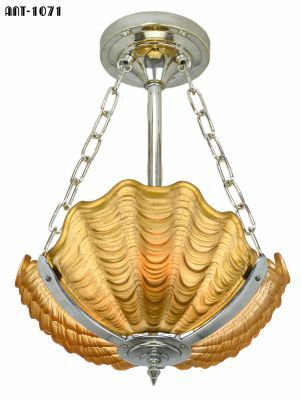 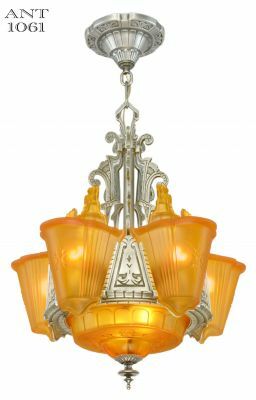 The original Art Deco Williamson sconce has been (Kenk) re-designed to fit into the UL scheme and now conforms to California's Title 24 energy stipulations. 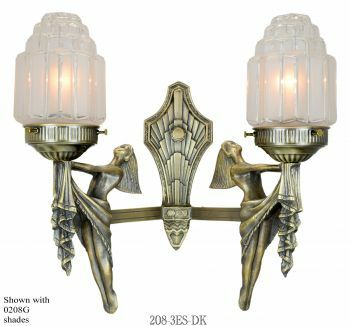 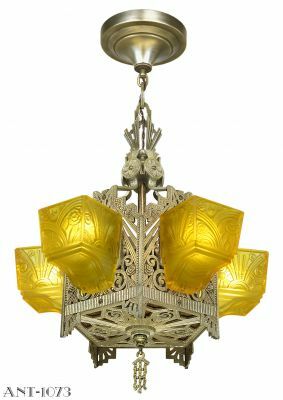 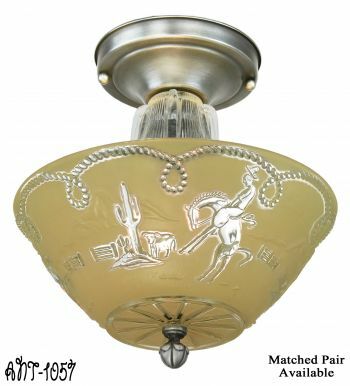 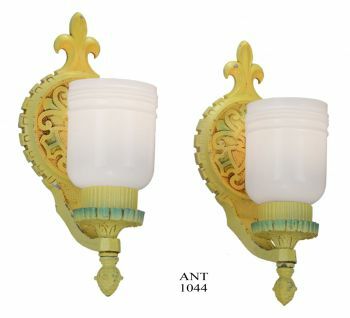 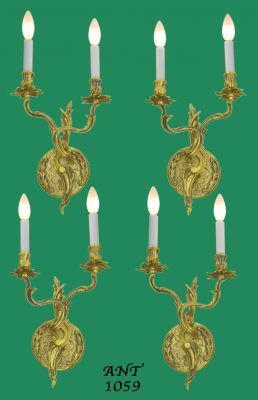 While the original Art Deco sconce was cast iron, ours is cast brass/bronze and finished in an antique hi/lo finish. 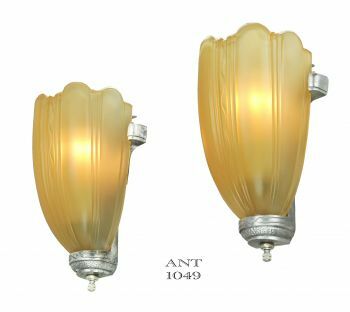 The original sconce was incandescent, and we stretched the housing to accommodate two different schemes of LED lighting. 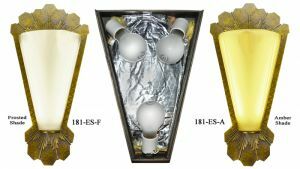 Both sets of our LED are dimmable. 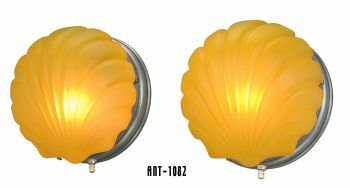 If dimmable is not desired, the bulbs default to light up with 100% capacity. 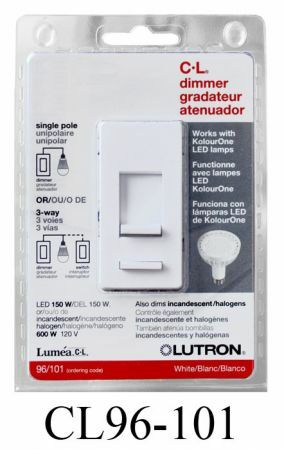 If dimmable is desired, we recommend our Lutron CL dimmer switch, as incandescent dimmers simply do not work with LEDs. 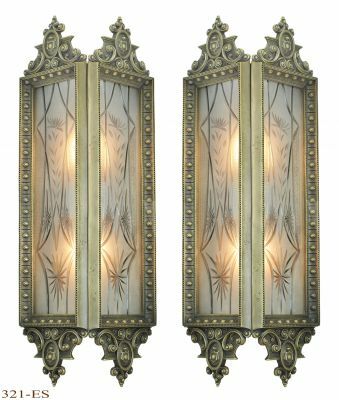 We used two different types of LEDs to give two totally different effects. 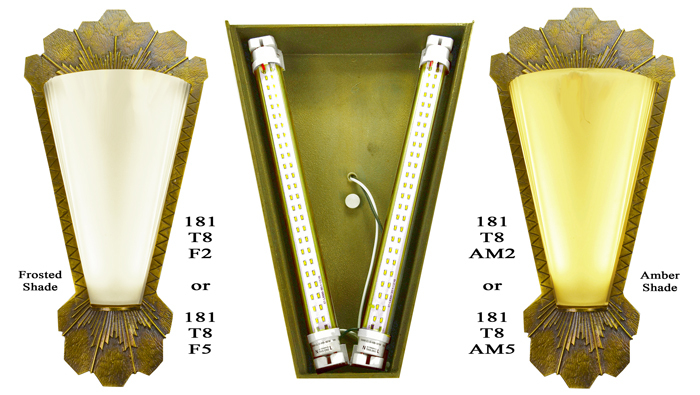 When you use the two T8 LED tubes - the lighting is more focused to the sides of the light. When you use the 2G11 single center tube, the light is more robust through the center of the shade, and falls off more at the edges. 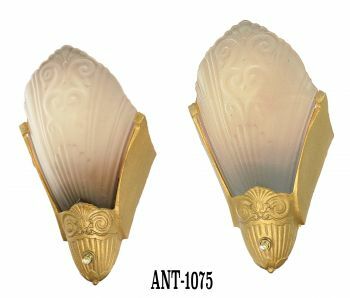 Both types of LED give a far better distribution of light than incandescent bulbs ever would do ...but...if you wished us to light this sconce with a series of incandescent sockets, we could also do that. 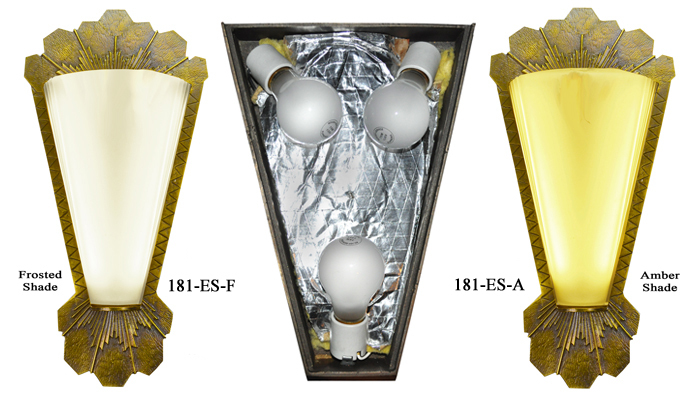 We have experimented and found that three medium base E26 household sockets (two down-facing, and one up-facing) lights this sconce quite well. 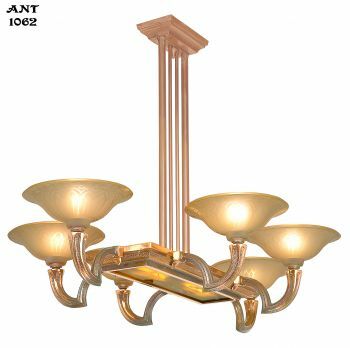 Used with incandescent bulbs, a nice effect is achieved this way as well. 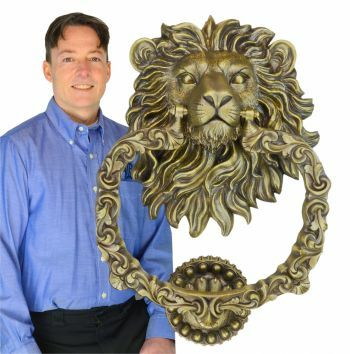 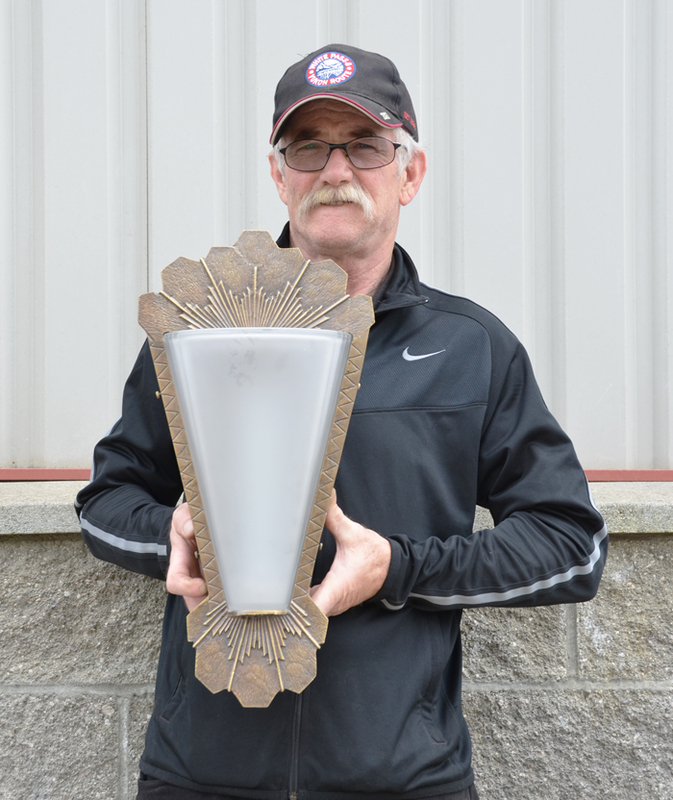 For scale comparison, we took a picture with Michael (from our UL lamp department) holding the sconce to give a better sense of its measurements. 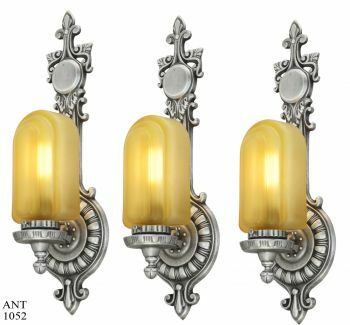 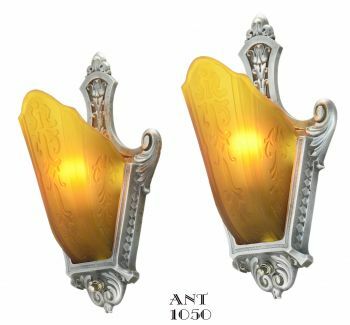 The sconces are UL approved, and ready to hang with a standard light mounting kit, which we will supply. We stock all LED bulbs for replacements: The T-8 tubes, each 5 watts, are 12" in length. 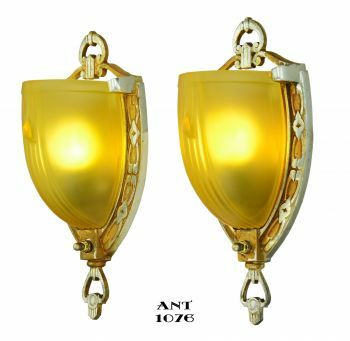 They are available in warm white 2700ºK (closest in hue to incandescent), and bright white 5000ºK. 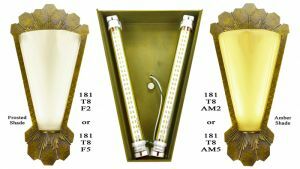 Each T-8 tube produces about 550 lumens. 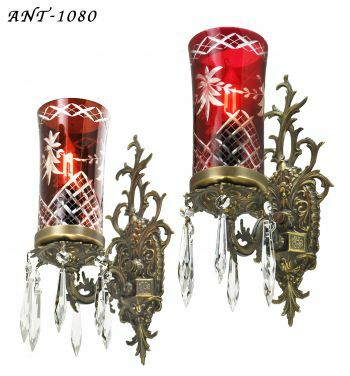 These are dimmable tubes...powered at one end only in accordance with UL guidelines. 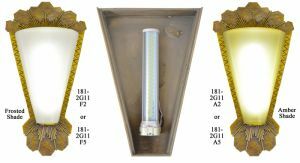 The 2G11 tube, 8 watts, is about 9"
long, and stock numbered 8-2G11-2 (for 2700ºK) and 8-2G11-5 (for 5000ºK). 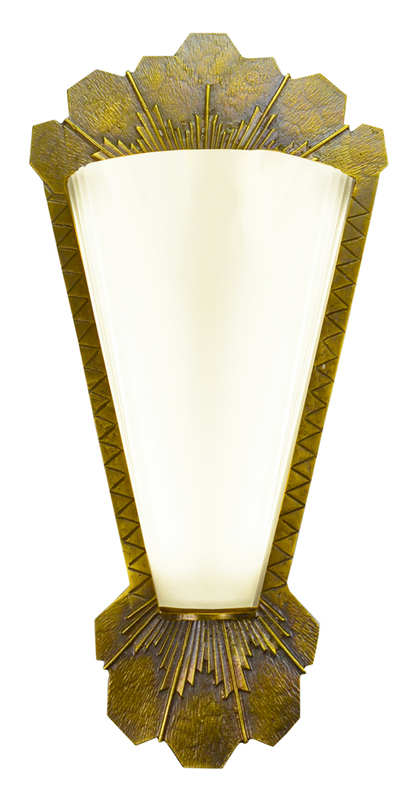 This 8 watt 2G11 tube produces about 850 lumens, is dimmable, and powered only at the 2G11 socket. Price for the T8 version includes two dimmable 12" LED tubes. 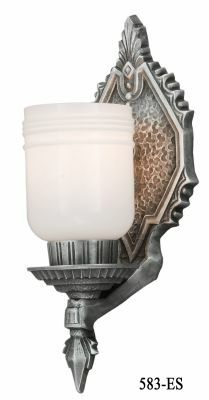 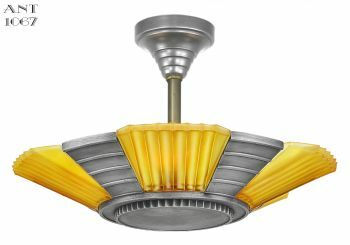 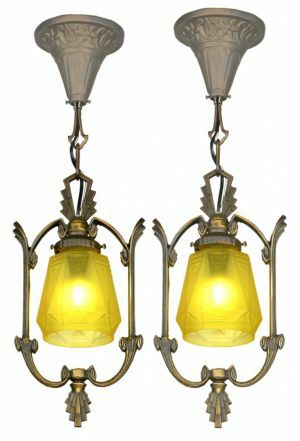 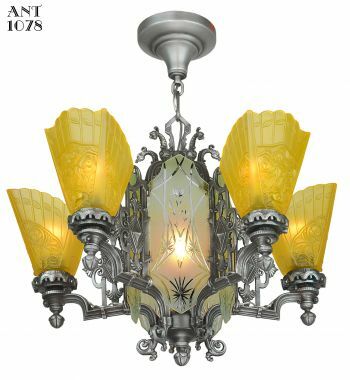 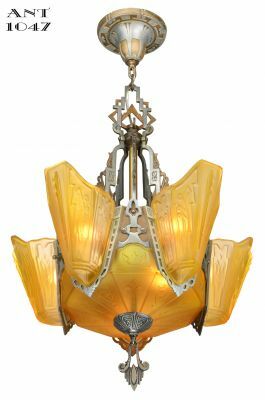 The incandescent version of this sconce does not include light bulbs.